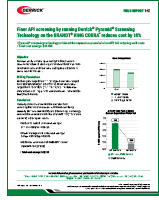 Derrick has revolutionized screening technology with the patented Pyramid® (PMD®) and Pyramid Plus™ (PMD+™) screens. These revolutionary three-dimensional screens offer the benefits of traditional flat multi-layered screens while adding a significant increase in usable screen area. The result is a screen that increases fluid handling capacity. Pyramid and Pyramid Plus screens provide an easy, cost effective increase in shaker performance. Designed with the latest technology, Pyramid screens allow rigs to screen finer earlier in the drilling process, thus significantly reducing mud and disposal costs. All Derrick screens are API RP 13C compliant. thus allowing more fluid to pass through the top of the screen. 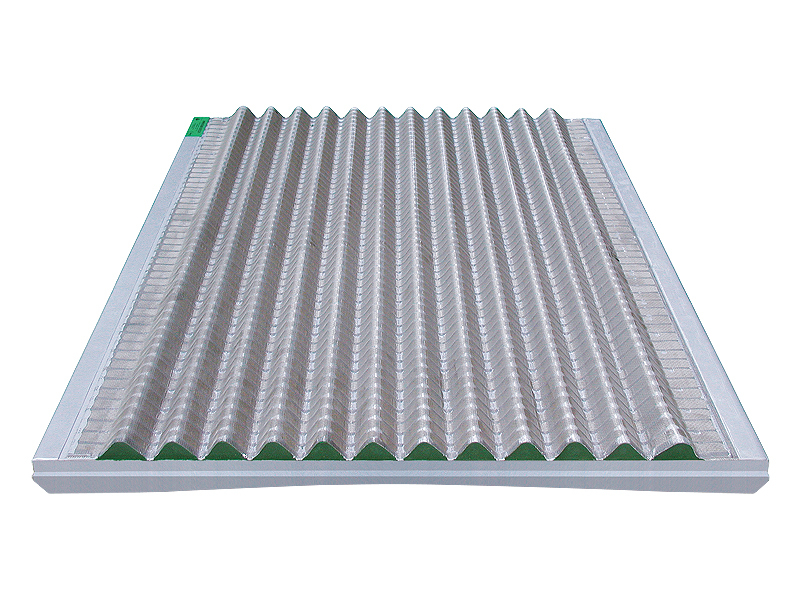 Derrick’s Hyperpool® performance is optimized through the installation of Pyramid screens, permitting the use of finer mesh sizes at higher capacities. 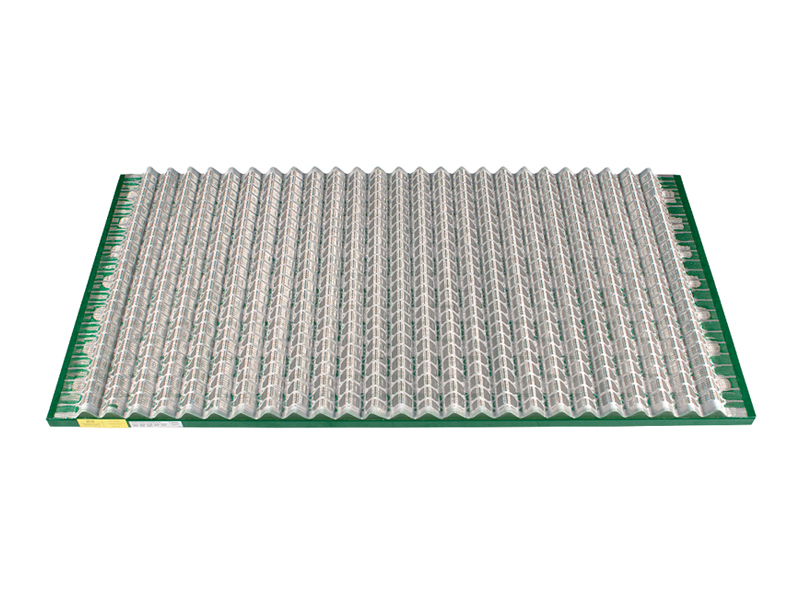 The Hyperpool’s innovative screen compression system drives the center of the screen panel downward, firmly sealing the screen panel to the screen frame. Compression benefits include extended screen life, improved conveyance, elimination of ultra fine solids bypassing under screen panels, and faster and more user-friendly screen changes than any other shaker in the Derrick product line. 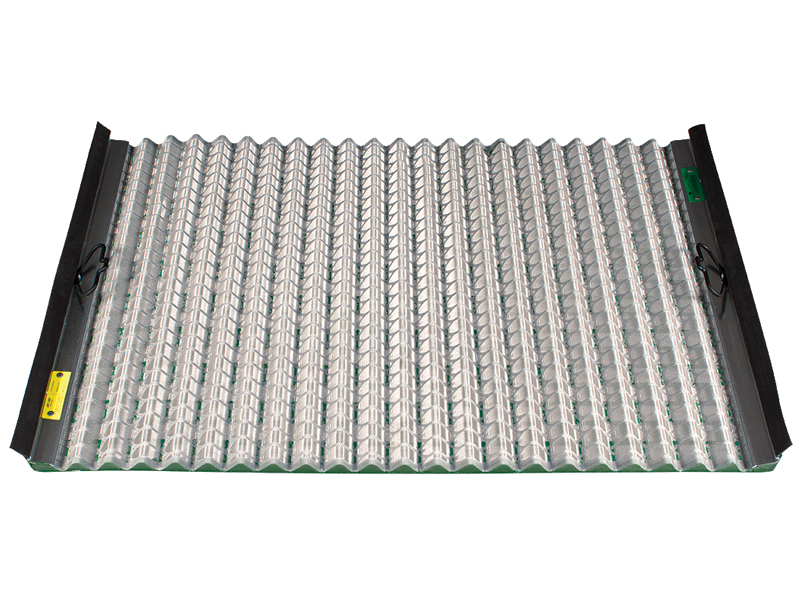 Derrick’s 600 Series screens, available in Pyramid and Pyramid Plus panels, are used on all Dual Pool® 600 series shakers. The DP 600’s innovative actuated screen compression system drives the center of the screen panel downward, firmly sealing the screen panel to the screen frame. 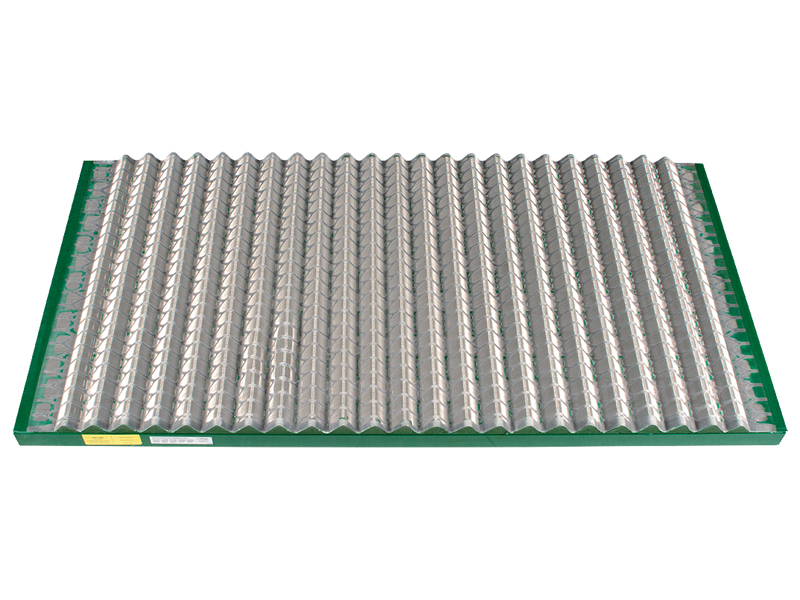 Compression benefits include extended screen life, improved conveyance, elimination of ultra fine solids bypassing under screen panels, and fast, user-friendly screen changes. 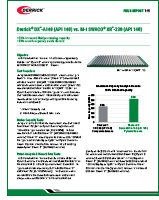 Derrick’s long-life urethane panels are used on models equipped with the scalping deck option. 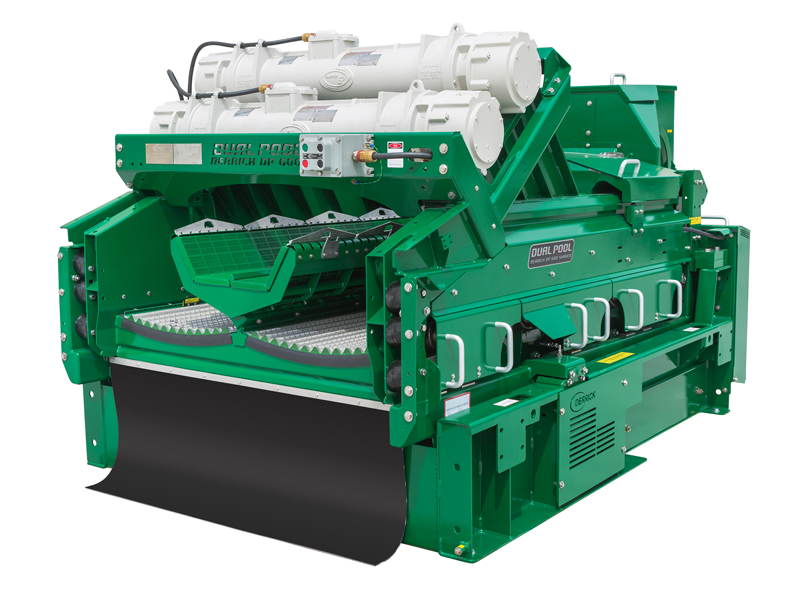 Derrick’s 500 Series screens, available in Pyramid, Pyramid Plus, and PWP panels are used on all FLC 500™ series shale shakers. The FLC 500’s innovative single-side tensioning system reduces screen panel replacement time to less than one minute per panel on average. This faster, easier, and more reliable screen panel tensioning is provided by tensioning fingers and two Quick-Lok 1/2-turn tensioning bolts on each screen panel. 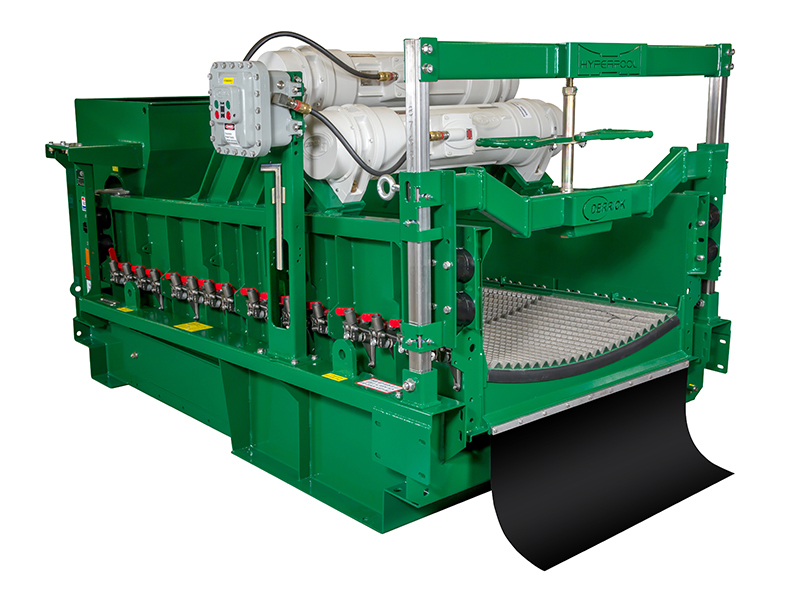 The PMD 46×23 is a superior pre-tensioned replacement screen for MONGOOSE & MEERKAT series shale shakers. The exclusive Derrick Pyramid technology offers up to 16% greater non-blanked open area, increasing capacity of the existing shaker package. The PTM 46×23 (PWP) flat screen is also available. 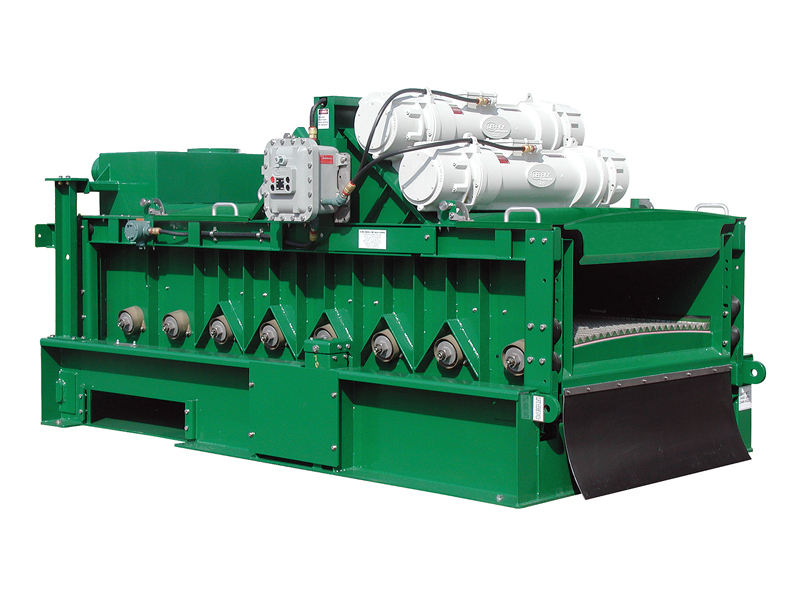 The PMDV 49×25 is a superior pre-tensioned (VENOM™ style) replacement screen for the COBRA series and LCM-3D shale shakers. The exclusive Derrick Pyramid technology offers up to 38.5% greater non-blanked open area, increasing capacity of the existing shaker package. The PTCV 49×25 (PWP) flat screen is also available and comes with a stainless steel screen repair plug. 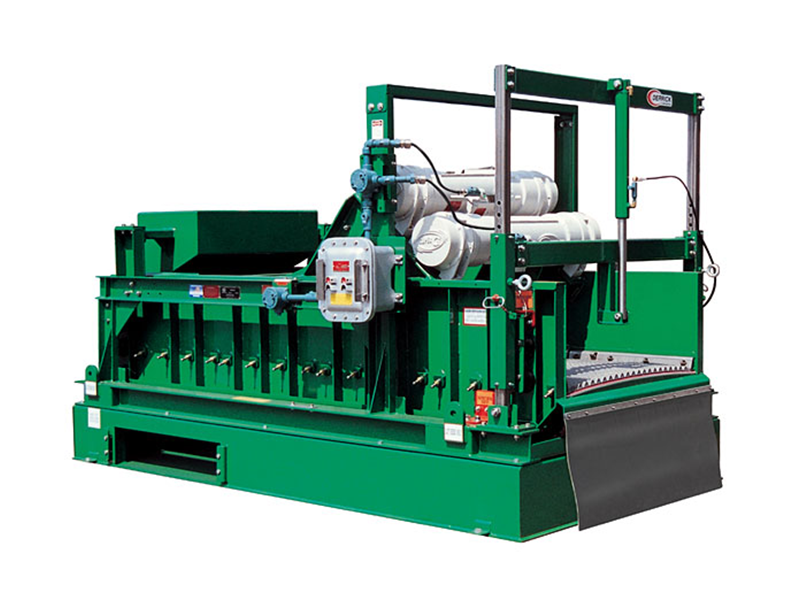 A pre-tensioned Pyramid screen is available for the VSM 300 shale shakers. 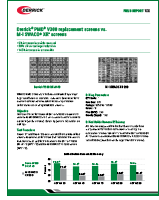 The V300 screens ensure longer screen life and accurate cut point designation in compliance with API RP 13C. The exclusive Derrick Pyramid technology offers up to 36.9% greater non-blanked open area, increasing capacity of the existing shaker package. The V300 (PWP) flat screen is also available. BRANDT, COBRA, KING COBRA, VENOM, and VSM 300 are trademarks and/or registered trademarks of National Oilwell Varco. M-I SWACO, MONGOOSE, and MEERKAT are trademarks and/or registered trademarks of M-I L.L.C.. 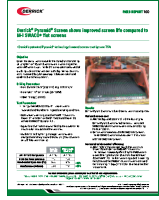 Compared to the PWP, Pyramid and Pyramid Plus screens increase the total amount of usable API non-blanked screen area by 105% and 184% on a Derrick FLC 514 shaker. Fluid-handling capacity is increased up to 125%. 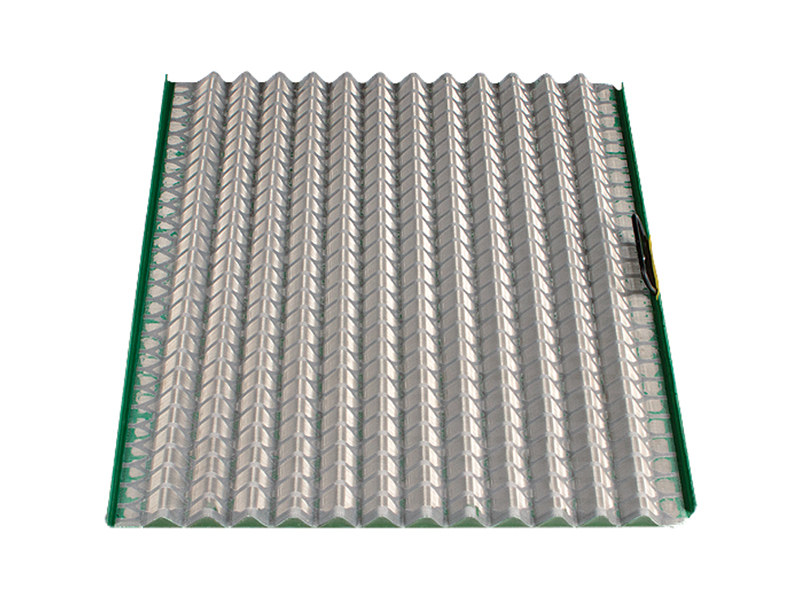 Pyramid and Pyramid Plus screens are capable of making separations as fine as 40 microns. Pyramid screens fit all Derrick shakers, thus allowing for the most efficient use of existing equipment. There is no need to modify or replace the existing shaker. Utilizing Pyramid or Pyramid Plus screens enable shakers to screen 1 to 2 API sizes finer than traditional perforated plate flat screen panels. 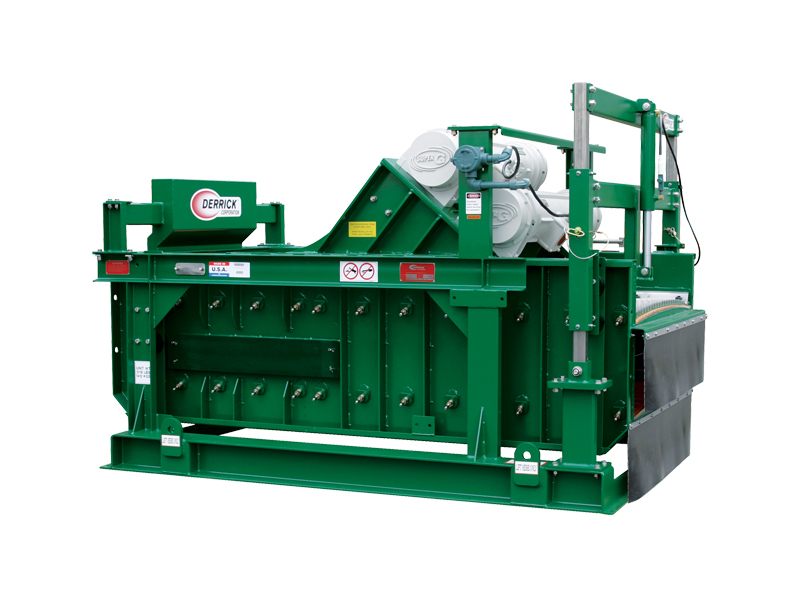 This maximizes the solids removal efficiency of the shaker. 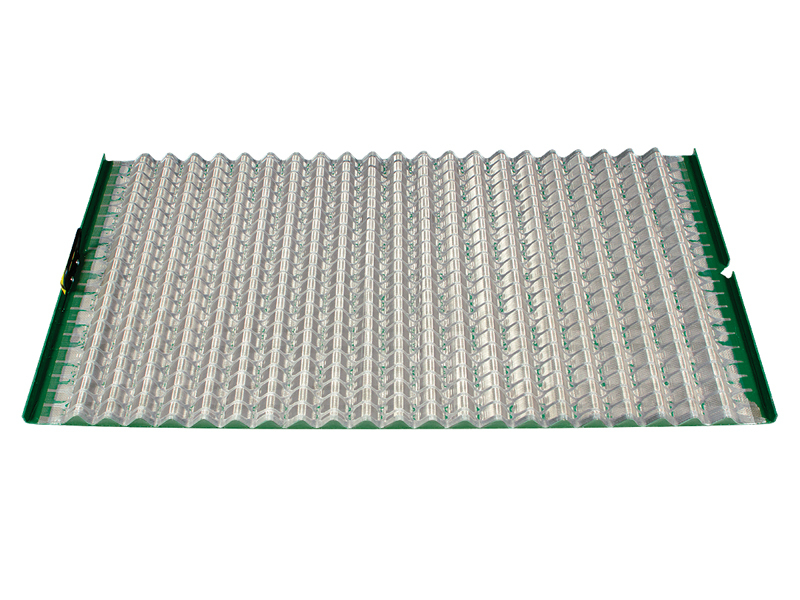 Pyramid screens minimize fluid loss by dispersing thinner layers of fluid over an increased screen area, resulting in a more effective and faster drying capability.